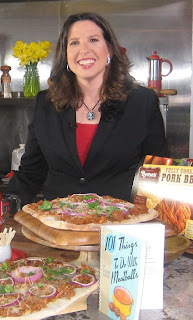 In case you don't know, I write cookbooks as well as try to find ways to save money. My books are geared to those looking to save time and money in the kitchen. Amazon is quick to ship and offers FREE shipping on any order over $25! You can also "Click to Look Inside" on most of my book titles and check out the table of contents! Amazon is offering some amazing deals on the books. Price: $11.04 & eligible for FREE Super Saver Shipping on orders over $25. Each 101 cookbook is spiral bound and includes wipe-able covers. What could possibly top the New York Times best-selling cookbook 101 Things to Do With a Cake Mix by Stephanie Ashcraft? Why, more delicious cake mix recipes of course! In 101 More Things to Do with a Cake Mix! Stephanie Ashcraft has done it again, serving up more lovin' for every busy dessert-lover's oven. 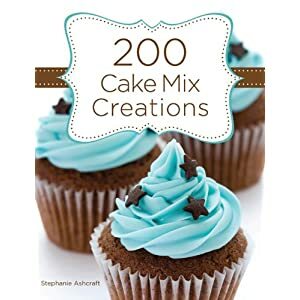 101 More Things to Do with A Cake Mix includes simple and delicious recipes-all using cake mix as a main ingredient. Call it a slow cooker, a crockery cooker, or your best friend, the popularity of these handy machines has exploded recently, and "Mrs. 101" Stephanie Ashcraft has stepped up to the plate (or bowl, or serving tray) with an amazing collection of timesaving recipes. From South of the Border Pot Roast to Hearty Vegetable Soup to Cherries Jubilee, now anyone can make hearty, healthy dishes for the whole family the "throw-n-go" way-simply throw several ingredients into the slow cooker, get on with life, and come home to a kitchen filled with the aroma of real home cooking. 101 recipes for main courses, side dishes, desserts, and more are included, along with suggestions for how and what to serve with each dish, time-saving meal preparation tips, and easy modifications to fit your families tastes. 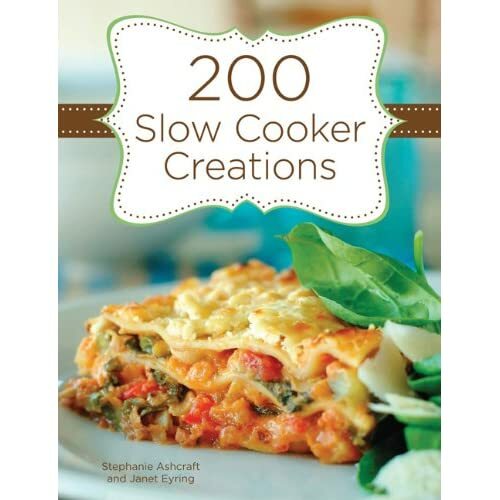 With the continuing slow cooker craze, 101 More Things to do With a Slow Cooker. With two new sections-Vegetarian Delights and Turkey-this book will be flying of the shelves. More great recipes like Raspberry Chocolate Carmel Fondue, Southwestern Chili, Cajun Chicken Pasta, Mandarin Orange Steaks, Apple Cranberry Pork Chops, and Gooey Cherry Chocolate Cake will make your mouth water just by reading the ingredients. So throw a few ingredients in the slow cooker and go have fun with your family and friends-when you're done, your meal will be too! 101 Things to Do with a Tortilla takes this delicious and nutritious staple of so many countries and brings it into the mainstream with family-friendly recipes for breakfast, lunch, dinner, and more. Tortillas are a no-fail recipe ingredient, and Stephanie Ashcraft and Donna Kelly show that tortillas aren't just for Mexican food anymore! Everybody knows that a good salad makes a meal complete and now with this new addition to the 101 line, a salad is never more than a few ingredients away! The book includes Leafy Salads, Main Course Salads, Pasta Salads, BBQ and Picnic Salads, Veggie Salads, Fruit Salads, and Dessert Salads, with an amazing variety of recipes and flavors to suit all occasions. Try Sweet Fiesta Salad, Chinese Chicken Salad, Chicken Caesar Pasta Salad, Cauliflower Shrimp Salad, Cool Pear Salad, Pistachio Salad, and Best Ever Frog-Eye Salad! One potato, two potato, three potato-four! Introducing the next book in our thriving 101 series, 101 Things to do With a Potato. Each year, the average American consumes close to 140 pounds of potatoes. With that in mind, nothing seems better than a cookbook featuring one of America's major food staples-the potato! "Mrs. 101" Stephanie Ashcraft has ingeniously created simple recipes that take potatoes to a whole new level. Try a Breakfast Burrito in the morning, sample the Sausage Corn Chowder for lunch, have the Italian Potato Chips as a mid-afternoon snack, for dinner try the Potato Crust Pizza, and then savor the Sweet Potato Cheesecake for dessert! Call it a one-pot, a casserole, or a hot dish, no one can deny the convenience and satisfaction these traditional meals provide! Whether you've had a late night at work, or have limited ingredients and finicky kids, the mighty casserole is the answer to the grumbling in everyone's tummy. From creamy varieties to everyone's favorite (tomato, of course! ), find 101 new uses for the most popular staple in your cupboard. Easy favorites are simplified with canned soup shortcuts: Classic Tuna Casserole, World's Best-Baked Beans, Chile Verde Enchiladas, and Southwest Black Bean Chili, plus try creative new recipes for Souper Tamale Pie, Upside Down Pizza Casserole, Tomato Soup Cake, Potato Chive Biscuits, and Chocolate Zucchini Cake! Everybody knows that meat loaf is the ultimate comfort food, but what else can you do with that easy-to-use, affordable, nutritious freezer staple? Here are 101 easy and delicious recipes to make the most out of ground chuck, hamburger, and turkeyburger. 101 THINGS TO DO WITH MEATBALLS ON TOP OF SPAGHETTI, and a whole lot more! In the newest addition to the 101 series, 101 Things to Do with Meatballs is filled with recipes that will become instant favorites among family and friends. Some of the tasty dishes include Breakfast Burritos, Meatball Sliders, Thai Pizza, Feta Meatballs with Cucumber Yogurt Sauce, Tortellini Meatball Stew, Chinese Beef Noodle Soup, Piping Hot Buffalo Subs, Enchilada Meatballs, Chipotle Meatball Pasta, Savory Meatball Lasagna, Tater Tot Kid's Casserole, and Meatball Stroganoff. There's so much more to pudding than just a dollop of whipped cream on top! This all-time favorite treat gets a makeover with 101 Things to Do with Pudding. Now you can try some amazingly luscious, moist, and inventive recipes Such as Sticky Buns, Banana Cream Cookie Salad, No-Bake Butterscotch Oatmeal Cookies, Triple Chocolate Brownies, Cream Cheese Chocolate Nut Pie, Red Velvet Cake, Pumpkin Spice Trifle, and a whole lot more!